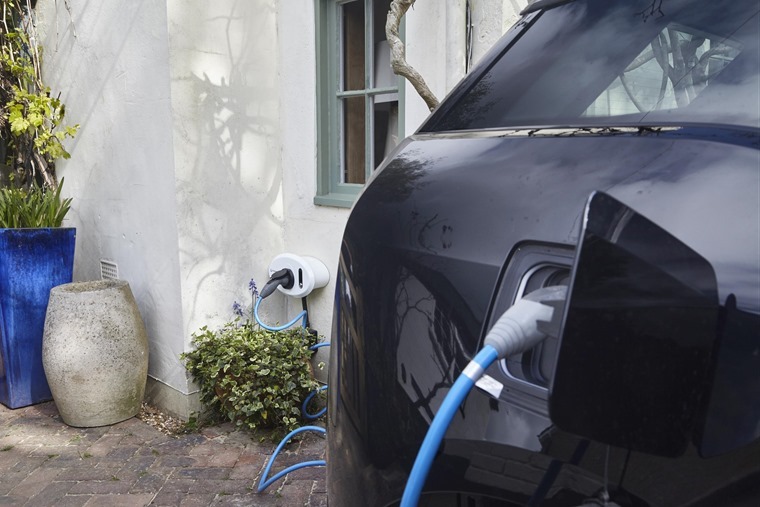 Would you let electric vehicle drivers park at your house and use your electricity? 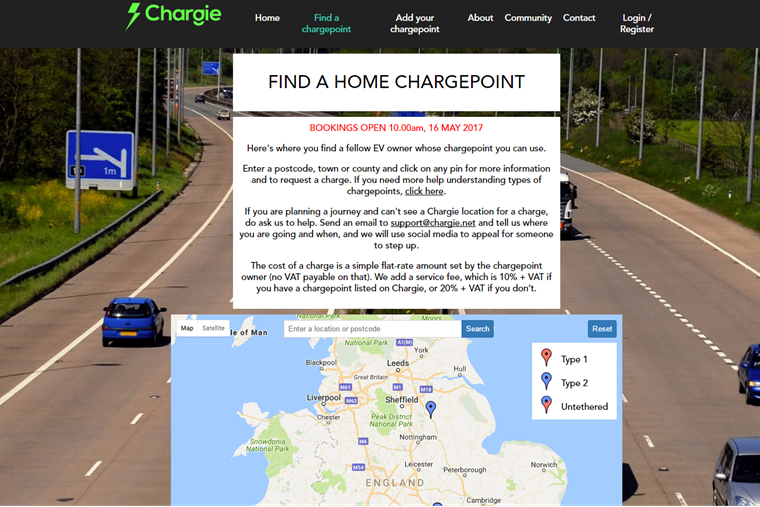 Launching today, a new web-based service – Chargie.net – thinks it is the best way to tackle the lack of charging infrastructure in the UK. 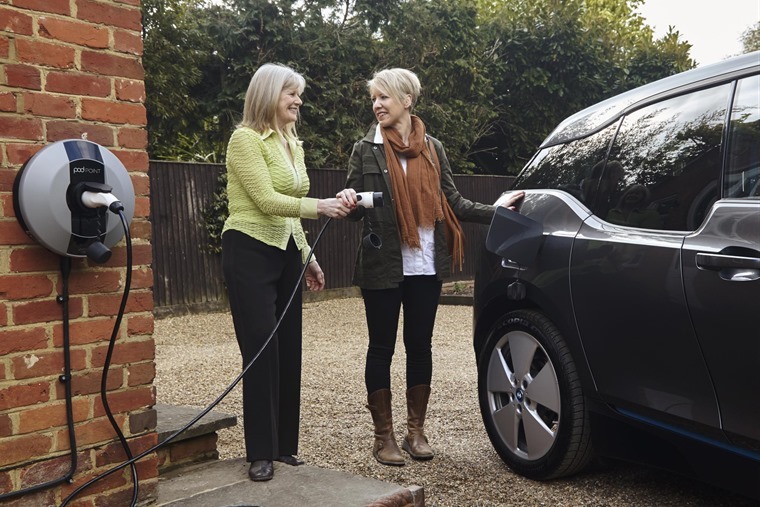 EV drivers can visit Chargie to book a charge at domestic chargepoints across the UK, allowing them to access the domestic, wall-mounted chargepoints of other owners signed-up to the service. As the world’s first dedicated and bookable peer-to-peer electric vehicle charging service, registrations were taken at the beginning of May for EV drivers to allow fellow electric car users access to their wall-mounted charge sockets. Two weeks into its launch, the service already has more than 60 chargepoints across the country. Chargepoint owners are steadily adding new locations to the map, with a relatively even distribution of chargers to suit different types of EV (‘Type 1’, ‘Type 2’ and ‘untethered’ chargepoints). According to founder Jan Stannard, this will make EVs a more viable proposition for a greater numbers of motorists, including those that travel longer distances, and to destinations where there are no readily available public change points. Stannard and partner Jeremy Coulter came up with the concept after realising there just wasn’t enough public charging points for them to take their EV on holiday. She commented: “We want Chargie to help make electric cars the dominant form of transport in the UK, not just for short local runs, which is how many electric cars are currently used. The website takes its inspiration from Airbnb, and sends booking requests to homeowners that have an accessible and compatible exterior charge point. Leasing an EV or PHEV? Then Electric Nation wants your help! For those wishing to book someone’s socket, Chargie adds a service fee of 10% plus VAT to homeowners’ costs. A charge typically costs the homeowner between £2.00 – £4.00 depending on their tariff, though users are able to specify their own cost should they wish. Just like the hospitality site, homeowners are able to review the profile of the person making the booking before accepting and declining too. 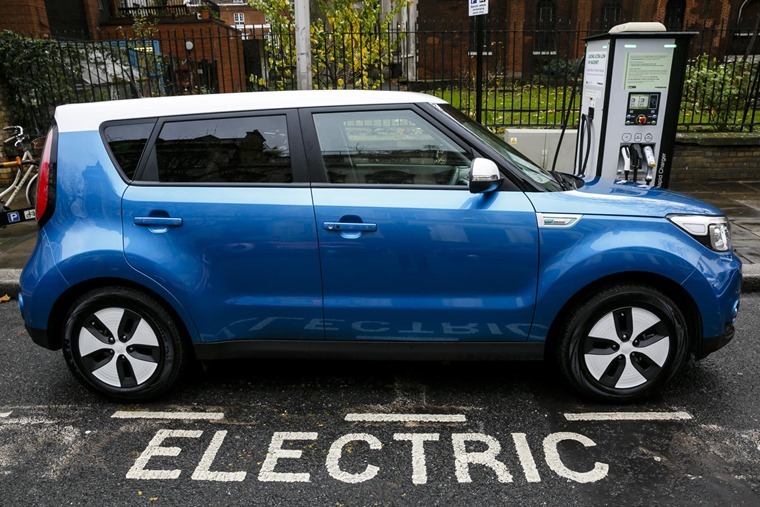 Could EV charge points overtake petrol stations by 2020? With government figures suggesting that EVs could make up a huge chunk of the market in just a decade, the Chargie concept is one way of combatting the lack of charging infrastructure. The question is, would you let others use your electricity even if they paid for it? Let us know in the comments.